June 2014 was a momentous time for the UK Somali community; it was the first time Khat was classified as a Class C drug. Four years on, this month’s ATM Open-Minded Debate reflected on both the positive and negative impacts of the Khat ban on the Somali community. 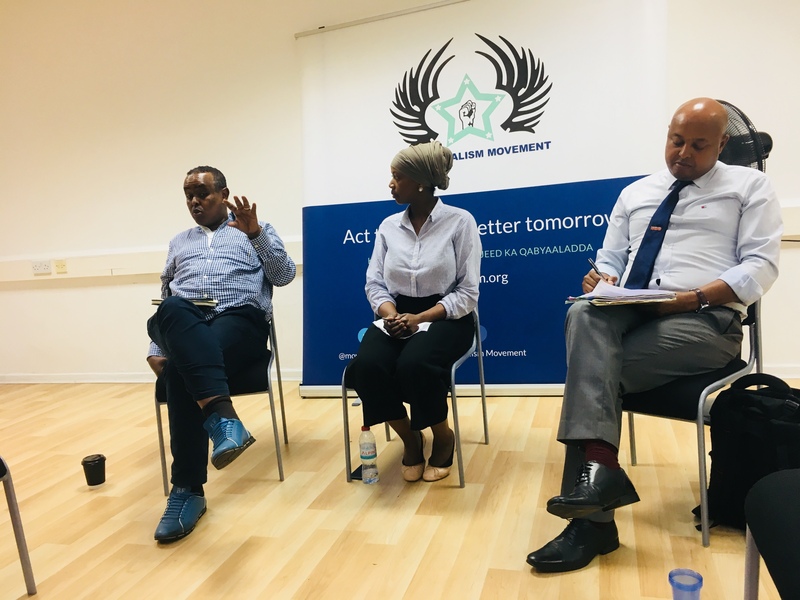 Last week, a lively discussion was held amongst a cross-section of the Somali community in London. Abukar Awale and Liban Noah delved into the history of the ban, why it was necessary and its impact since it came into effect in 2014. Awale , one of the UK’s leading anti-Khat campaigners, talked about his dependence on the drug during the debate, “Khat use took me to the lowest point of my life. It [was] all I needed.” He then added, “Getting out of addiction felt lucky, but I still had friends struggling. It felt like a moral obligation to help.” Since struggling with addiction, Awale has successfully campaigned to highlight the social harms of Khat and the anti-social behaviours of its users. During the informative discussion, Awale referenced the challenges he faced whilst lobbying for change, like push back from recreational drug users and those who benefitted from the £467m per year Khat industry. Liban Noahis a chair of Africans United in Diaspora and the Somali Diaspora UK. With 24 years’ experience working in the education, social, and community sector, Noah stated that much of the resistance to the Khat ban centred around the damage that the ban would do to Kenyan farmers and the economy. Despite this, the motivation was still there for Noah, especially when he witnessed children being taken away from parents, broken homes and other examples of social dysfunction as a result of Khat use. Noah claimed, “The campaign saved a lot of young people”. For Noah, one of the most important byproducts of the ban was Somalis integrating better into society. While attendees of the discussion applauded the initiative, they did question the employment of the ban without services to help provide support for withdrawal, mental health issues and other matters affecting former Khat users. Both Awale and Noah acknowledged limitations in the initial approach but stated that these actions were necessary given the “big picture”, which they believe has been a positive step for the Somali community. Awale and Noah also challenged younger generations to step up to the plate and take charge in introducing some of the changes they would like to see. Whilst the ban of Khat has undoubtedly helped address some issues facing the Somali community, there is still much work to be done when it comes to responding to some of the after-effects of the ban. Furthermore, it is crucial that younger generations get involved with the important next steps.